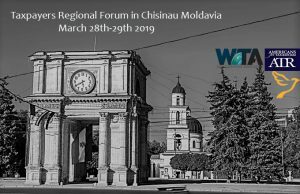 The first WTA-sponsored Regional Taxpayers Forum of 2019 took place in Chisinau, Moldavia, March 28-29th 2019. The World Taxpayers Associations along with Americans for Tax Reform and the European Resource Bank Meeting are pleased to invite delegates to join us in an exchange of ideas and best practices to advance taxpayer advocacy in Europe. Chair: Cristina Berechet. Secretary General, WTA. This session provides taxpayer leaders the opportunity to introduce themselves. Also, leaders are encouraged to present new ideas, with an emphasis on collaboration, that have the potential to advance taxpayer advocacy. The second WTA-sponsored Regional Taxpayers Forum of 2018 will take place in Lima, Peru, October 12-14th 2018. The World Taxpayers Associations along with Americans for Tax Reform and Peruvian Taxpayers Association (Asociación de Contribuyentes del Perú) are pleased to invite delegates to join us in an exchange of ideas and best practices to advance taxpayer advocacy in Latin America. Conference fees include conference materials, coffee breaks and lunches. If you have paid your 2018 Membership Fee to the WTA, you are entitled to free access to this event. Please e-mail Melanie Harvie at melanie.harvie@worldtaxpayers.org for your discount code. The code is valid for two registrants within your organization until September 12, 2018. After that, a fee of 50 USD per person will be charged. For other groups, the conference has a cost of 120 USD per person. Lorenzo Montanari. Executive Director, Property Rights Alliance: “Where Peru stands in the International Property Rights Index”. Javier Coronado. General Manager, INDECOPI: “The Importance of Intellectual Property Rights for the Peruvian Economic Growth”. Manuel Mayorga. Executive Director, ILD: “Property Rights and Blockchain”. Keynote: Christopher Butler, Executive Director, Americans for Tax Reform: “The US Tax Reform and its Impact in the US and Worldwide”. Ana Requena. Superintendent Deputy at Internal Taxation: “Pro Business Tax Reforms Promoted by SUNAT”. Ramón Gálvez. Founder, Gálvez, Risso, Zegarra & Asociados, and member of the Fiscal Committee at the Peruvian Entrepreneurs’ Organization: ”The Expectations of the Productive Sector Regarding Fiscal Policy”. This session provides taxpayer / invited think tanks leaders the opportunity to introduce themselves. Also, leaders are encouraged to present new ideas, with an emphasis on collaboration, that have the potential to advance taxpayer advocacy. 12:30PM – 1:00PM How to Build a Coalition Meeting in Latin America. Introduction by Lorenzo Montanari. Director of the International Advocacy & Affairs, Americans for Tax Reform. How to use them to grow your organization and build public awareness. 7:30PM Off-Site Dinner. No Host. Cala Restaurant, Circuito de Playas, Barranco, Lima. Visit http://www.calarestaurante.com/english/menu.html for menu (around 30-35 USD for main course, one drink and dessert). 12:50PM – 1:00PM Closing remarks. Cristina Berechet and José Beteta. The first WTA-sponsored Regional Taxpayers Forum of 2018 will take place in Copenhagen Denmark, May 28. The World Taxpayers Associations along with The Tax Foundation and Americans for Tax Reform are pleased to invite European and international delegates to join us for a discussion on tax policy. If you have paid your 2018 Membership Fee to the WTA, there is no cost for you to attend this event. Please e-mail Melanie Harvie at melanie.harvie@worldtaxpayers.org for your discount code. The code is valid for two registrants within your organization up to April 30. After that, an administration fee of 50 USD per person will be charged. 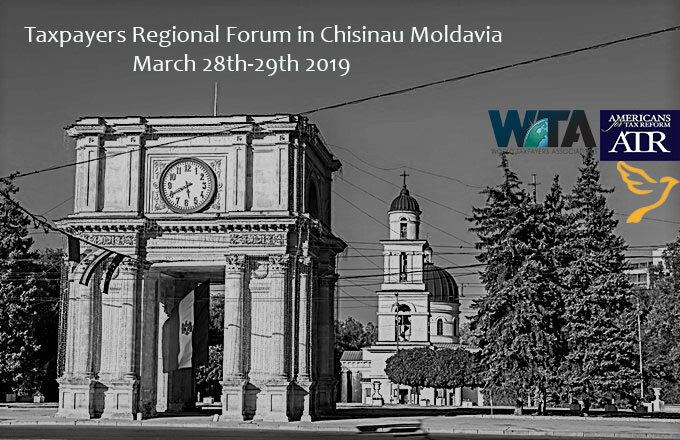 For other individuals, the conference has a fee of 50 USD per person and it includes conference materials, coffee breaks, lunch and evening reception. Room rates at the AC Hotel Bella Sky are 1,450 DKK (about USD$245) for a single room and 1,650 DKK (about USD$280) for a double room. Room rates include breakfast. Catherine Schultz. Vice President for Tax Policy, National Foreign Trade Council, U.S. Chair: Cristina Berechet. Secretary General, World Taxpayers Associations. What can groups like the Tax Foundation, ATR, Atlas, WTA do to advance tax reform? How can we take the debate away from groups like Oxfam, and make the tax debate about pro-growth policies and raising living standards? How can we develop a distribution system for getting rapid response material and research to the free-market groups across Europe and elsewhere, and how can we develop an “early alert system” to notify the network when threatening issues emerge from international organizations. the Tax Foundation and Americans for Tax Reform. The World Taxpayers Associations along with Asia-Pacific Taxpayers Union and Atlas Network are pleased to invite Asian and international delegates to join us in an exchange of ideas and best practices to advance the cause of limited and accountable government. The regional conference will be held December 9&10 in Bangkok Thailand where you will enjoy a host of dynamic speakers and networking opportunities. Delegates from United States, Canada, United Kingdom, Sweeden, Australia, Korea, Hong Kong, China, and India have already registered. If you have paid your 2017 Membership Fee to the WTA, you are entitled to free access to this event. Please email Melanie Harvie at melanie.harvie@worldtaxpayers.org for your discount code. The code is valid for two registrants within your organization up to September 30. After that, an administration fee of 50 USD per person will be charged. For other groups, the conference has a cost 120 USD per person and it includes conference materials, coffee breaks, and lunches. Delegates from Thailand, Philippines, Hong Kong, United States, Canada, United Kingdom, Australia, Korea, China, Hong Kong and India have already registered. If you haven’t registered yet you can still do so here. Please act soon, as of this date we have nine spaces remaining. The present political situation in the Land of Smile, Colin Hastings. Former UK- reporter in Sunday Times, publisher of Big Chilli. This session provides taxpayer leaders the opportunity to make short presentations on their current activities or taxpayer-related developments in their respective countries that would be of interest to the group. Also, taxpayer leaders are encouraged to present new ideas, with an emphasis on collaboration, that have the potential to advance taxpayer advocacy. Groups to speak already include: China, Hong Kong, Korea, India, Philippines, United States, United Kingdom and Australia. Chair: Christopher Butler. Executive Director, Americans for Tax Reform. 5:40PM Meet in Lobby of Rembrandt to transport to dinner. 9:15AM – 10:00AM Reformulating the debate on Tax Competition, Scott Hodge. Meet in Lobby of Rembrandt to take Sky Train to the State Tower Building for drinks at the spectacular Sirocco Sky Bar. No bermudas or opens shoes. Casual elegant dress required. This is an optional event for those staying in Bangkok entirely at own expense. The Atlas Network is proud to work with over 33 free-market think tanks throughout Asia. The Think Tank Essentials training course will share best practices from across the continent and the globe. Applications for Asia Think Thank Essentials Workshop are now closed. 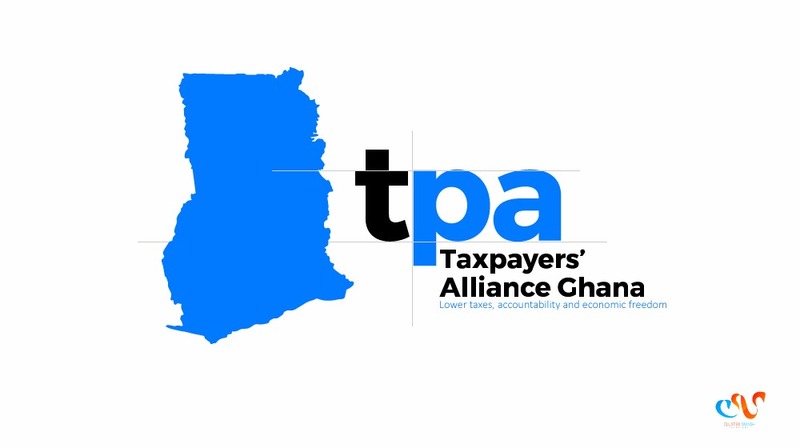 The World Taxpayers Associations along with Lipa and the Free Market Road Show are pleased to invite European and international delegates to join us in an exchange of ideas and best practices to advance the cause of limited and accountable government. The regional conference will be held April 24 & 25 in Zagreb Croatia where you will enjoy a host of dynamic speakers and networking opportunities. Taxpayer Campaigns to Join or Replicate. How to use them to grow your organization and build public awareness. Open the Books. Every Dime. Online. In Real Time. Matthew Tyrmand. Deputy Director, Open the Books. No Host. Visit www.bistrofotic.com for menu and pricing. 10:00 – 11:30 Activity and Blue Sky Session. This session provides taxpayer leaders the opportunity to present short (10 minute) presentations on their current activities or taxpayer-related developments in their respective countries that would be of interest to the group. Also, taxpayer leaders are encouraged to present new ideas, with an emphasis on collaboration, that have the potential to advance taxpayer advocacy. Several groups have already asked to speak and we encourage others to do the same in what will be a free flowing discussion amongst participants. 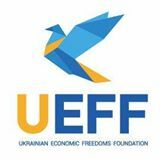 13:30 – 14:30 A Major Economic Reconfiguration: The End of the Free Trade Era? Good Governance and Low Taxes – Necessities in an Uncertain World?! The World Taxpayers Associations cordially invites its members to its biennial worldwide conference in 2016, from the 17th – 19th March at the Mercure Hotel in Berlin. Key stakeholders and globally acclaimed experts will discuss a wide range of important aspects of economic growth and growth of freedom and democracy. You will have a unique chance to meet with like-minded persons from all parts of the world (200-250), to learn and be inspired and build relations of future importance for your organization! Book your Hotel at a Discount – Extended deadline to 15th January 2016! Until the 15th January 2016 we are offering an Early Bird Special! After 15th January 2016 the regular price will apply. REGISTER TODAY! If You Need Visa Support from Conference Organizers – please email Daniel Junker, d.junker@steuerzahler.de and cc Michael Jaeger, michael.jaeger@steuerzahler-bayern.de, and Sarah Elliott at sarah.elliott@worldtaxpayers.org. Please contact Sarah Elliott, sarah.elliott@worldtaxpayers.org, with “WTA Scholarship Application” in the subject line, answering these questions in the email: 1. Why are you interested in attending the WTA Conference? 2. What are your biggest goals for your organization in the upcoming year? 3. How much would you be able to contribute to your attendance?